I encourage you to put a special basket together for all the wonderful people in your lives. A basket made from paper, straw, or brightly colored plastic, filled with love and sweet treats will create memories that last a lifetime. 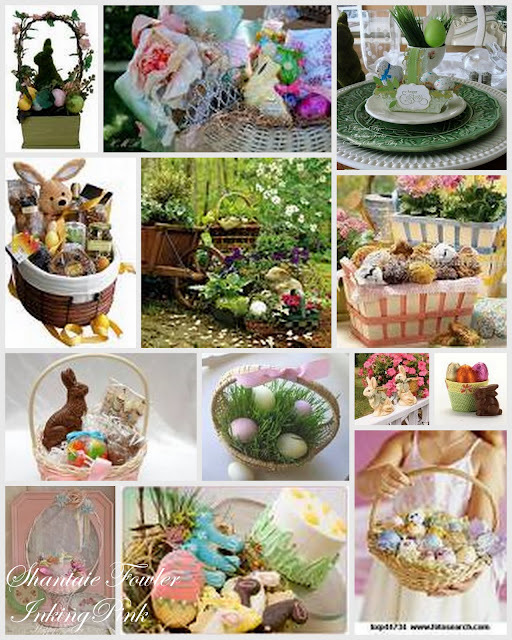 I will be bringing you Easter inspiration everyday next week, hope you come back and visit! I promise a plethora of bunnies, eggs, and chicks ...oh my! ooooh!! can't wait to see all the goodies you'll be posting next week! I too can't wait to see what Easter stuff you will be sharing, I love everything you make! Oh my gosh, I just discovered your blog from the Cricut boards. You are so incredibly talented! I am so glad I found you and am following you!!! Your photography is so professional! !